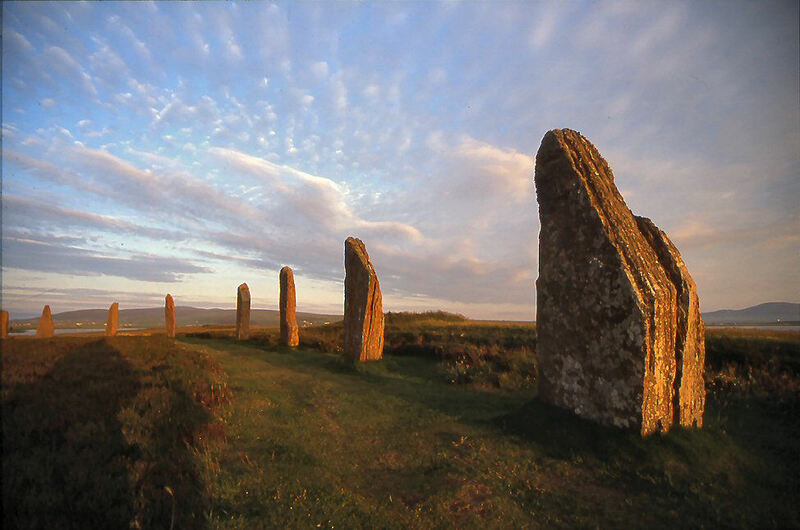 Join us and explore the mysterious stone circles, standing stones, burial cairns, Celtic chapels and crosses and the prehistoric rock art of Argyll, Mull, Iona and the Outer Hebrides, then travel on to the Orkney Islands, off the northern coast of Scotland. This tour offers something for everyone: stone circles and labyrinths, holy wells, stunning landscapes and rare wildlife, medieval carvings and ancient prehistoric rock art that will delight pilgrims, photographers and explorers alike. Departing from a hotel near Glasgow Airport, we start in the village of Kilmartin, at the heart of a remarkable prehistoric ritual landscape, with standing stones, circles and burial chambers and the surrounding hillsides dotted with prehistoric rock art. We will also go in search of some of the finest preserved Celtic crosses and sculpture in this area and, weather permitting, we will go out in the evenings to see rock art panels come alive and watch dramatic sunsets at prehistoric sites with alignments on distant landmarks. Moving onward, we take the ferry to Mull and then another ferry to spend several nights on the sacred island of Iona, with a hike out to visit the stone labyrinth on the south coast of the island and an option (sea conditions permitting) to visit Fingal’s Cave on the remote island of Staffa, inhabited only by seals and puffins. 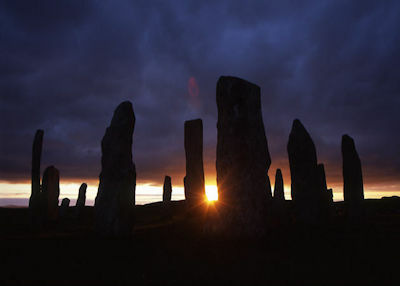 From there we will head north, and take the ferry across the Atlantic Ocean to the remote island of Barra and drive up through the Outer Hebrides to visit the incredible Callanish stone circle and surrounding monuments before returning to the mainland. Sutherland mountains, will take us to the Orkney Islands, where we will have several days to explore the neolithic village of Skara Brae, the chambered tomb at Maeshow, the stones and circles of Stenness and Brodgar, and a selection of the best of the remarkable monuments preserved on these remote islands off of the northernmost coast of Scotland. 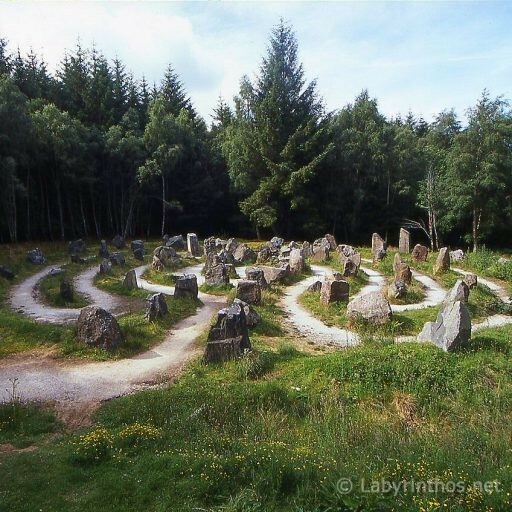 northeast coast of Scotland to Strathpeffer, to see a remarkable modern labyrinth in the forest high above the town. We will also have time for a visit to Findhorn or Cawdor Castle before our return to Glasgow, via Loch Ness, Glencoe and the stark landscape of Rannoch Moor. During the early summer the nights are short and we will take advantage of this. 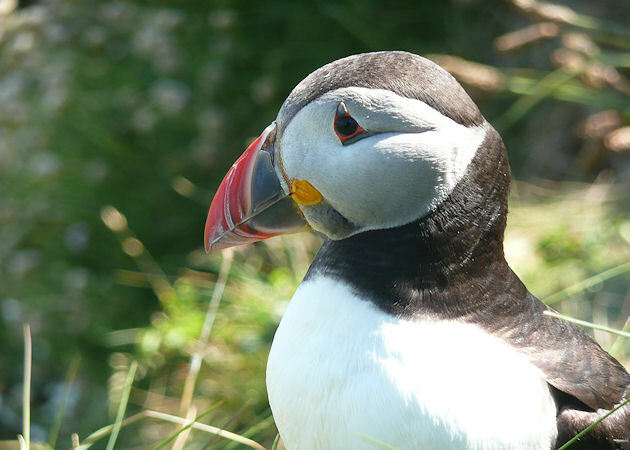 Travelling in this part of Scotland is an off-the-beaten track adventure; pack light and be prepared to see far more than the average tourist as we take you along rugged shorelines, down trackways and up on the moorlands and hilltops to experience the mystery of ages past. A remarkable journey, this unique pilgrimage tour will visit some of the most exciting, and remote, monuments and sacred sites on the western and northern coasts of Scotland. We now run our tours only on request. 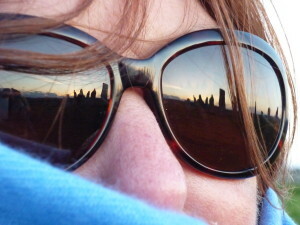 If you have 4 to 6 people who would like to explore Scotland, please contact us to begin a conversation about how we might customize a tour to meet your interests, time, and budget. 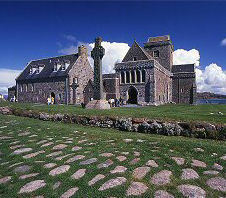 A sample itinerary is available upon request. Price will include all ground transportation and ferries, admission costs and B&B accommodation.